The series of disastrous climate-related events over the past years call for stronger climate adaptation action and disaster risk reduction measures. However, studies show that there are climate-related disasters that people cannot cope with despite the existing adaptation and disaster mitigation mechanisms for the affected community. This highlighted the need to better understand the concept of “loss and damage” (L&D), which is recognized in the Philippines as an emerging issue that could enhance the nation’s initiatives to address climate change impacts. 4. Recommend research and development (R&D) and policy agenda for implementation. The Loss and Damage Briefer introduces relevant concepts and mechanisms involved in adopting L&D information as an integral component in “building back better,” enhancing resilience, and reducing vulnerability. It also introduces the aforementioned L&D Framework, which is intended to serve as a tool for planning, policy and intervention. Its ultimate purpose is to aid local government units, climate change adaptation and disaster risk reduction practitioners, and other stakeholders in their efforts to better understand L&D concepts and mechanisms so as to integrate them into existing policies and development plans. The four infographics allow for a quick look into loss and damage figures in Southeast Asia. 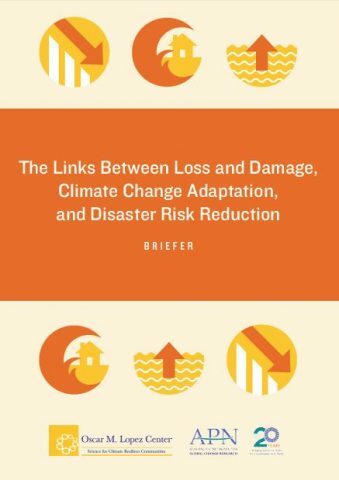 “Assessing the linkages between CCA, DRR, and loss and damage in the Philippines” highlights the state of loss and damage assessment system in the Philippines (process, actors, and gaps). It proposes a loss and damage framework for the Philippines and provides recommendations for the improvement of the system. The “Development Implications of Assessing Loss and Damage in the Philippines” poster highlights the state of loss and damage assessment system in the Philippines (process, actors, and gaps). It proposes a loss and damage framework for the Philippines and provides recommendations for the improvement of the system. It was presented at APEC’s Senior Disaster Management Officials Forum at Diversion21 Hotel, Iloilo City on 22-23 September 2015 and at the 4th National Climate Conference at Hotel Jen, Pasay City on 23 September 2015. The Science-Policy (SP) Brief on the “Development Implications of Assessing Loss and Damage in the Philippines” highlights the state of loss and damage assessment system in the Philippines (process, actors, and gaps). It proposes a loss and damage framework for the Philippines and provides recommendations for the improvement of the system. 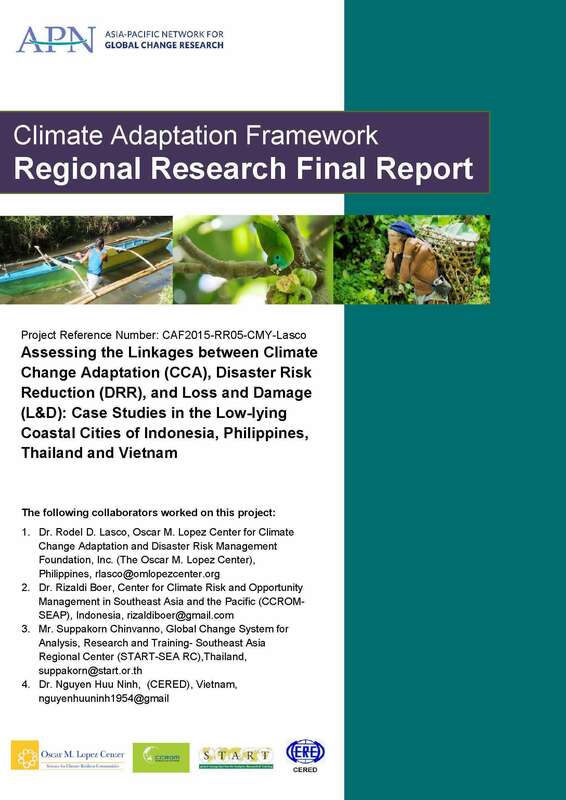 The “Workshop Report on Linking Loss and Damage with Climate Change Adaptation and Disaster Risk Reduction in the Philippines” provides the summary of the workshop, outputs, speakers’ presentations and other relevant information about the event.